Surprised. That’s how I felt coming out of Oculus Connect 4 last year, where for the first time we got a glimpse of “what’s next” in VR. At the time it was called Project Santa Cruz, a standalone VR headset—meaning no wires—that nevertheless had full position- and hand-tracking capabilities. “I thought we were further away from wireless VR,” I wrote at the time. Even now, I still feel that way. 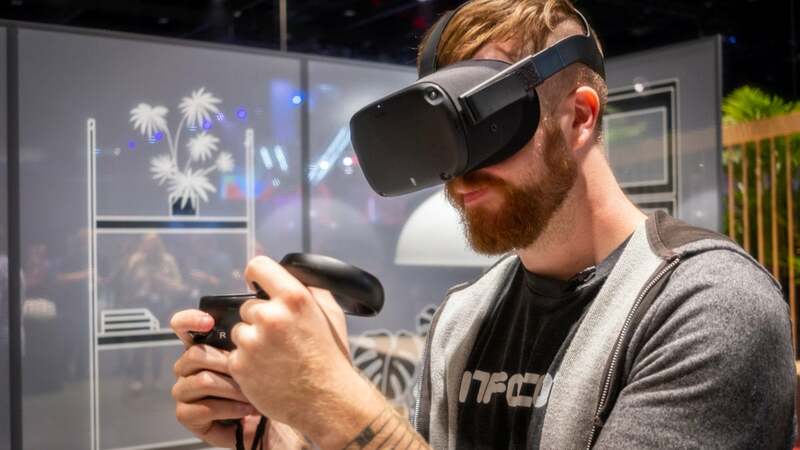 But come next spring, truly wireless VR will be here in the form of the newly christened $399 Oculus Quest. We already wrote up most of the technical details, but after yesterday’s keynote wrapped up I had the chance to run through some demos. My prediction? It’s going to be a hit. To recap, for those who didn’t read up on yesterday’s keynote: Oculus Quest is not a Rift replacement. 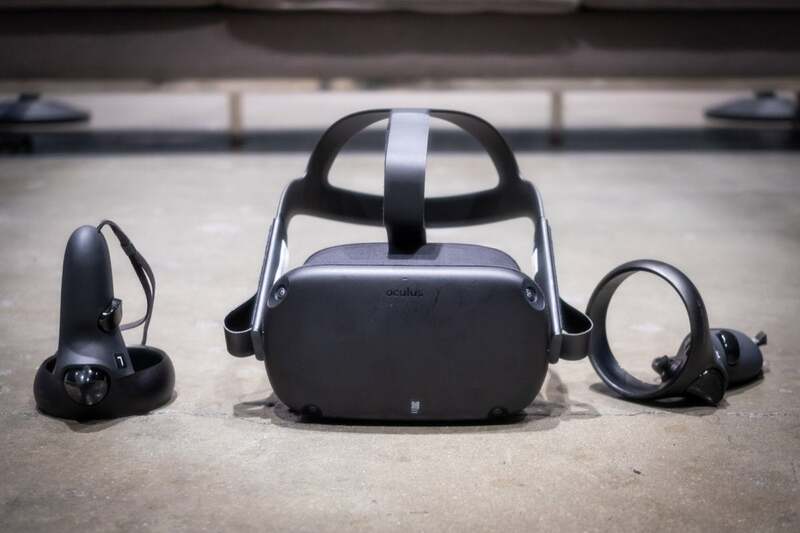 Oculus considers it a third device tier, slotting it in between the low-power Go line and the top-end Rift. And that makes sense—a standalone headset is never going to match the performance of a high-end PC. 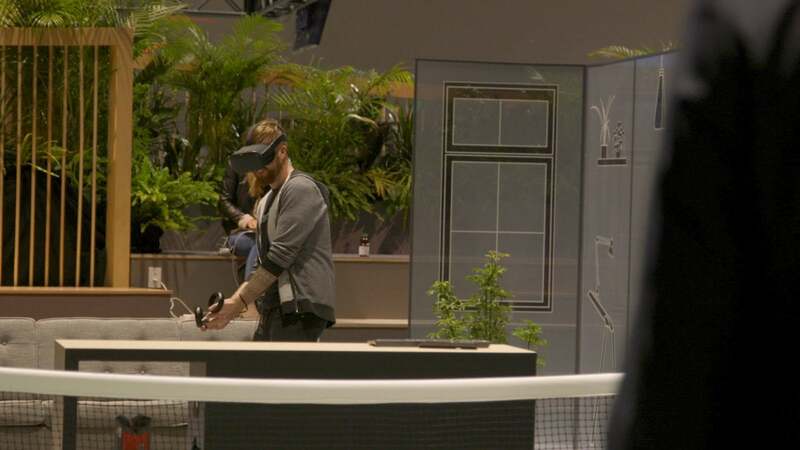 It’s significantly more powerful than the Go though, and also brings inside-out tracking capabilities to the mix courtesy of four cameras arrayed around the visor. In theory it’s similar to what Microsoft did with the Windows Mixed Reality headsets last year, although Microsoft’s headsets were still tethered to a PC. Otherwise, it’s a blend of the Go and Rift designs. The visor seems slightly smaller, similar to the Go. Quest also uses the same audio implementation, building speakers into the strap instead of using the Rift’s fold-down headphones. However, the strap itself is closer to the Rift design, a mix of stiff fabric and plastic that holds its shape even after it’s removed. And the Touch controllers have been slightly reworked as well, mainly to aid in hand-tracking. The ring’s been moved to the top of the controller, helping the Quest’s cameras to spot it even when you hold Touch down low. 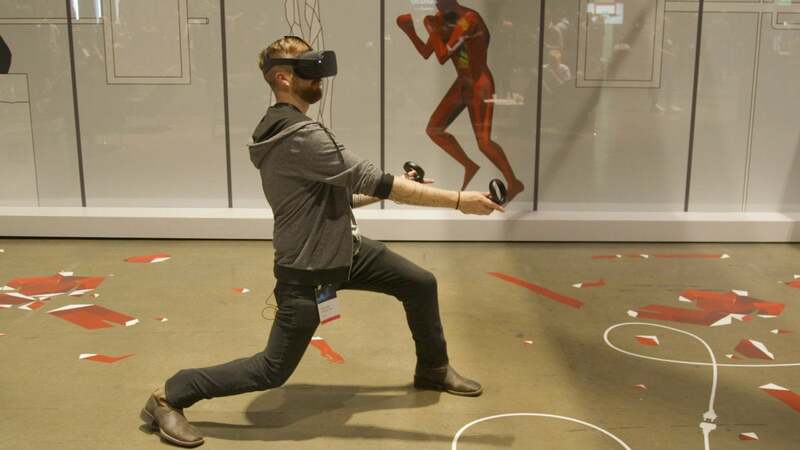 Not much has changed since Oculus Connect 4, honestly. All of these elements were in place in the Santa Cruz prototype. Last year we saw a very limited slate of demos though. This year we saw...well, still a pretty limited slate of demos. But the four we did see showed promise for the platform, even if I’m not sure enthusiasts will be swayed. So, in order: Tennis Scramble, Superhot VR, Face Your Fears, and Dead & Buried. Yes, I saved the best for last. “Move your hands outside your field of vision and there’s no longer any camera to track your movements. 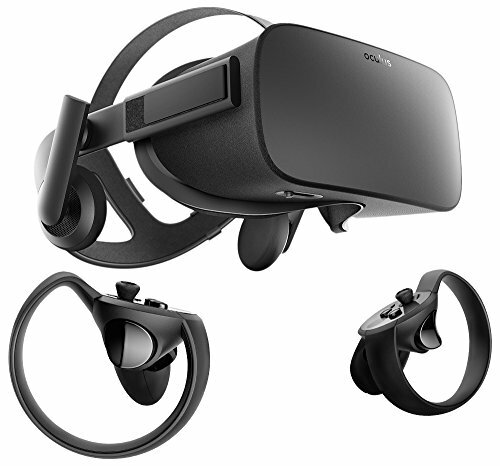 Like Microsoft, Oculus apparently relies on software plus the controller sensors to project where it thinks your hands have moved. The longer your hands are outside the field of view, the less accurate this projection will get. Emphasis mine. Yes, that’s a real quote, and so Tennis Scramble felt like a personal challenge. Is it actually a problem, Hayden? Is it? Well...yeah, actually. If you’ve spent a lot of time in the Rift or Vive you’ll immediately notice the downgrade in hand-tracking performance. Tennis usually involves watching your opponent while simultaneously hitting the ball, and with Quest that’s just not going to happen reliably. You end up following the ball into your racket to make sure it connects, every single time. In other words, the hand-tracking issues are still there. You can adapt to them, but it’s never going to feel as tight as a system with base stations—at least not this particular hardware iteration. On the other hand, will people care? I’m less certain. Enthusiasts will certainly notice the difference, but plenty of people are using PlayStation VR, and that tracking system only works in one direction and even then can be extremely janky. Plenty more people are using Oculus Go or one of the various GearVR iterations, and those don’t even have hand-tracking. For those people, Quest will feel like a huge improvement even if it’s not flawless. It’s also much easier to set up, a process that was (I think accidentally) demonstrated to us when we went over to see Superhot VR. I put on the headset and received a message saying the Guardian system, that grid that pops up to say “Hey you’re close to the wall,” needed to be recalibrated. The technician didn’t even move. He took the headset from me, stood in the random corner-bound position I’d been standing in, waggled his head around for about ten seconds, and we were ready to go. I didn’t even have to leave the area—Guardian worked around me. Now, I wasn’t wearing the visor and thus can’t swear by Quest’s ease-of-use, but it seemed about a hundred times simpler than setting up a Rift or Vive and doing that awkward walk-around-the-entire-room-perimeter-while-holding-a-controller ceremony. Not even the most awkward pose from my Superhot session. Anyway, Superhot VR served as a great comparison point with the Windows MR headsets. That’s the demo I so infamously had trouble with at PAX West last year. Oculus Quest? Much better. Like Tennis Scramble, I had a moment or two where I realized my hand wasn’t actually tracking, especially in the hand-to-hand combat sections. The wider field of view on Quest goes a long way towards mitigating the issue though, and I could usually grab items as long as they were in my peripheral vision. Much better than the MR headset’s front-facing cameras. And hey, Superhot is still a really fun game. I don’t have much to say about Face Your Fears. It’s a silly little horror game with a lot of jump scares and spiders, far as I could tell. I didn’t get the sense it was really showcasing anything off mechanically, though it was the only demo with movement mapped to the analog sticks. If I had to guess, this was Oculus’s graphics demo. The other three games all utilize low-impact or cartoon visuals. Face Your Fears is meant to be “realistic.” Again, if this is indicative of Quest’s power then it’s not going to impress Rift or Vive enthusiasts. Environments are pretty simplistic, as you’d expect from a mobile game. I’ve seen much, much better in VR, and it’ll be a shame if high-profile Rift titles like Ready at Dawn’s Lone Echo can’t run on Quest. But again, will the mass market care? I’m not sure. The $399 price point is certainly more accessible, especially when you don’t need to own a PC, PlayStation 4, or phone on the side. There were two key components here. One is multi-room Guardian, meaning Quest will actually keep track of numerous environments. Maybe you use Quest in your living room for a while, then head into the bedroom as it gets later. Provided you’ve already used it in both those locations, Quest will (in theory anyway) transition seamlessly without needing to run through the setup process a second time. Dead & Buried took advantage of Quest’s other strength though: Without the need for base stations, Quest can theoretically track a much larger area. And I say “theoretically” only because there were some definite workarounds being used in this demo, but we’ll see where it goes after release. 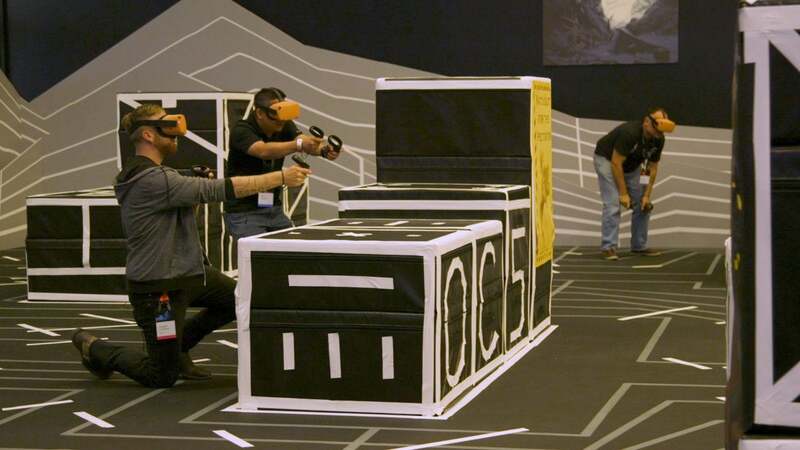 In any case, our Dead & Buried demo took place in what Oculus termed an “Arena-Scale” experience. The space was 4,000 square feet, covered in tape marks to provide Quest with better tracking, and dotted with boxes that matched the locations in the Dead & Buried demo. You could reach out, put your guns on a box to steady your aim, and the box was actually there. This wasn’t the first time I’ve seen a mixed reality demo of this sort, but it’s the first time I’ve seen it executed so seamlessly, and with zero base stations and zero calibration. I think we all started the demo a little hesitant, worried an unseen obstacle might trip us up, but by the end I was jogging around the space, crouching behind boxes, peeking over them, and so on without even thinking about it. At the moment VR arcades usually use heavy backpack computers, dozens of Vive base stations, and so on. It’s impressive hardware, and the experiences can be really interesting. But I could easily see a market spring up around Quest too. It’s a much lower investment, requires less maintenance, and presumably requires less hacking to make it work. We’ll see. 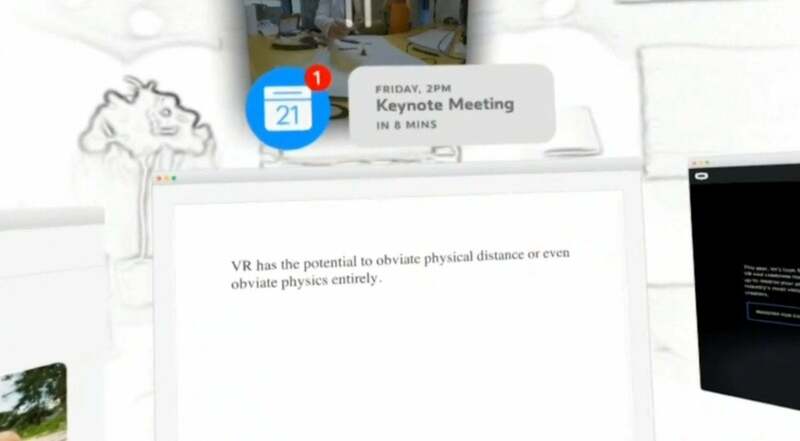 I also got a brief glimpse of the Mixed Reality mode Oculus showed during its keynote, which as colleague Brad Chacos said, “Looks like A-Ha’s video for ‘Take On Me.’” It’s an apt description, a white world with heavy black outlines around any obstacles, into which VR elements can appear. I’m curious to see how developers take advantage of that capability too. I’m curious. That’s the takeaway. Not so much surprised, as our Santa Cruz demos at least gave me an idea where Oculus was headed. Now that Quest is a real product though, I’m very interested in how it affects the VR market. My gut tells me this could be the VR headset moving forward—not the cheapest, nor the highest performance, but a comfortable middle ground that manages to combine the strengths of each end. We’ll know next year, I guess. As I said, Oculus Quest will sell for $399 at release and is due to release in spring, 2019. Should you rush out and buy one now? Probably not until you’ve heard details about battery life, performance, and more. But VR certainly seems more exciting now than it did even a week ago. 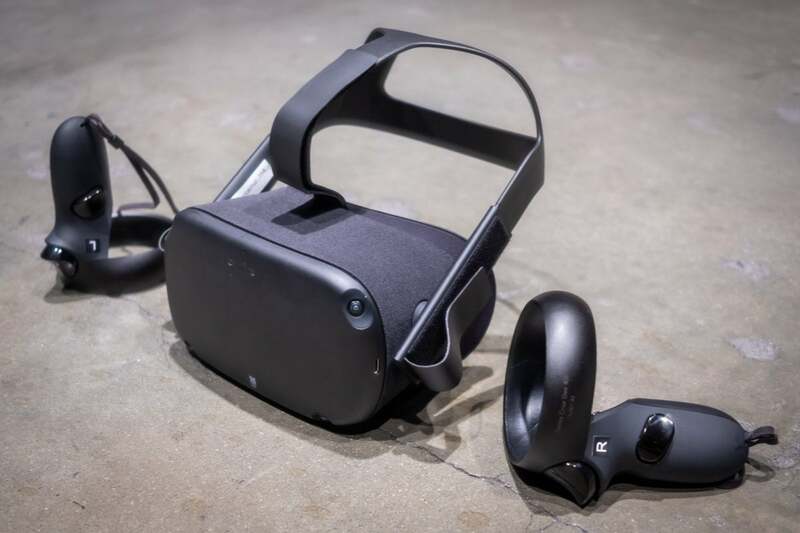 This story, "Oculus Quest impressions: This no-hassle wireless VR headset could be a breakout hit" was originally published by PCWorld.